Retired former heavyweight king Wladimir Klitschko felt Gennady Golovkin did more than enough to earn a twelve round unanimous decision win over Canelo Alvarez last month at the T-Mobile Arena in Las Vegas. The fight ended in a draw and it was the scorecard of Adalaide Byrd – who has since been stood down – that provided the biggest talking point, with Canelo the winner on her card by 118 to 110. Dave Moretti gave it 115-113 to WBA, WBC, IBF and IBO middleweight champion Golovkin, while Don Trella had it as a 114-114 draw. Klitschko, who is an owner in K2 Promotions, who guide the career of Golovkin, was surprised the fight went the distance. "Nobody expected it was going to go the distance," Klitschko said. "I thought Gennady was ahead. But it's pretty much the same question fans are asking when you don't have [a] clear win for one of the fighters, when it goes to points. You can go in either direction because sometimes people have different views." Asked if he expects a second meeting between the pair to be arranged, Klitschko added: "That's possible, if they want to." Tom Loeffler, the managing director for K2, confirmed Golovkin's desire to get back in the ring with Canelo, but conceded the need to address several areas of concern, including the date – with May 5 mooted – the judges and the location. "Gennady wants to fight before May but, if they commit to a rematch, we'll have to see if that makes sense. We can't put Gennady's career on hold, but [a rematch] is the priority," he told Sky Sports. "Gennady wants a rematch because this left an unsatisfied taste. Canelo said he won't fight until May, but we have to see if he wants a rematch. We wouldn't be hesitant about coming back to Nevada, but we'd be more selective with the officials that were assigned. [Byrd's] scoring system doesn't fit GGG's style, so that gives an argument not to have her involved. On the subject of where a second showdown might be held, Loeffler added: "If there's a rematch Dallas should be at the top of the list, but Madison Square Garden made an offer [for the first fight] that would have been a record gate for New York. 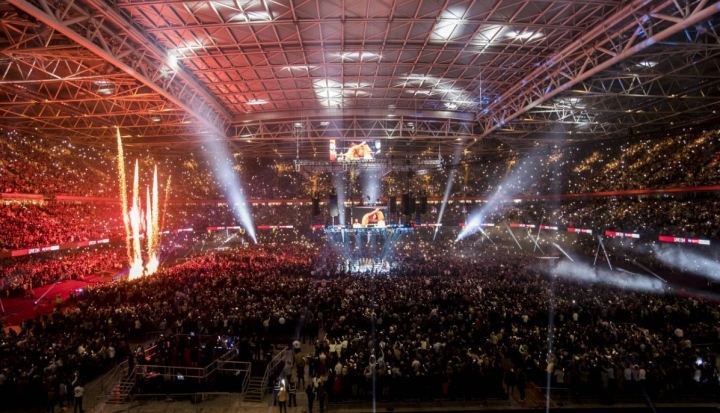 "After seeing the tremendous atmosphere at Wembley Stadium [for Anthony Joshua v Wladimir Klitschko] I was always a fan of going to the AT&T Stadium where we could have sold 100,000 tickets."